Lacy Eckhardt has background with 25+ years of financial,Insurance Mortgages sales/customer service experience ,hosted networking events and former co owner of B2B inc and Network 2000 networking groups ,and off /online mortgage origination. 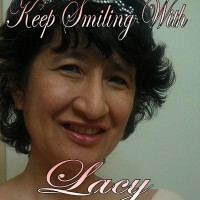 Currently , Lacy Eckhardt is Ceo of IM Success Marketing , Editor of LE International Business Daily & Jobbuddies , Lacy Eckhardt is lucky be blessed to prosper with a growing team of winners,, loving family ,newfound Intl friends. I rate A+ and own my front page -didnt before this great service - you can too ! Daily Payouts for over 15 years! Trusted program. Excellent advertising tools. Get paid to advertise your Biz Unlimited texts and Banners Directory membership much more !